vi. 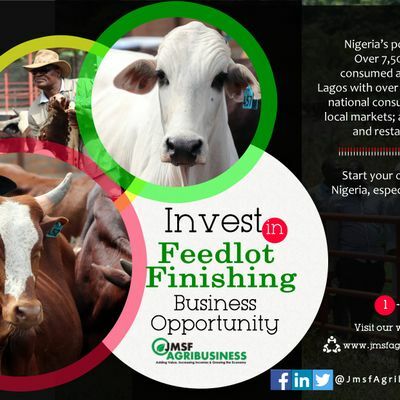 Feed Finishing/Feedlot Management and Operations plus associated services. Discover 3 days of opportunities discovery in the meat value chain. LAGOS | DATE: 26th - 28th of March 2019 | Location: - Harmony Castle, 7, Gbasemo Street, Aga, Ikorodu, Lagos. ABUJA | DATE: 25th to 27th December,2019 | Location: -Kanem Suites, 41 Ajose Adeogun Street, Utako District, Abuja. ENUGU | DATE: 24th -26th September 2019.| Location: 1, Ogbaru street, Niger foundation Hospital Junction, Independence layout, Enugu. Business Seminar Series Tagged "The art of Negotiation"